Yes, I would rather get things done too, if money allows, by a professional. But I'll refer back to the origins of this post. What gets me, is that this student is making the assumption that because you have an education or a license that makes you good at what you do. Sure, you may know the basics, but how many out there create really beautiful landscape designs? And do they function correctly? It's like any profession...there are only a handful of good ones and you have to search to find them...licensed, educated, or not. And what about the "nots"? Some can have more of an artistic sense than those that have those credentials. For the MOST part, a professional will be "better" than a homeowner due to education, experience, etc. But what's "better"? What is good art? What makes a landscape good? Is it in the eye's of the homeowner? Many will argue if they are happy with the project, then it is OK. But is it? And who's opinion is more important? Ah well...I went off on a tangent, but enjoyed your post! My opinion in this article was not geared in any harmful way to a landscape designer. I was simply trying to state that some landscape designers call themselves landscape architects, although they sometimes have no formal education. Now this isn't to say they don't know as much and landscape architects...because they probably do. Most horticulture students I take classes with know way more about plants and soils than I ever will. And most of them will become landscape designers. I actually worked with a landscaping company last summer and my boss knew more about most common zone 5 plants than most LAs will know in their lives. You create art. We create art. Who defines it? So again, I am not bashing your profession, I respect it as much as mine (soon to be, I hope). As long as the landscape is practical, functional, and beautiful...I say go for it! Susan and Dom, I love that both of you see landscape as art! This makes me incredibly hopeful for our profession(s). Dom, I did not interpret your comment as disparaging. In fact, you are quite correct: the landscape "designer" is, in fact, usually less credentialed than the landscape "architect," and usually untrained in much more than garden design. 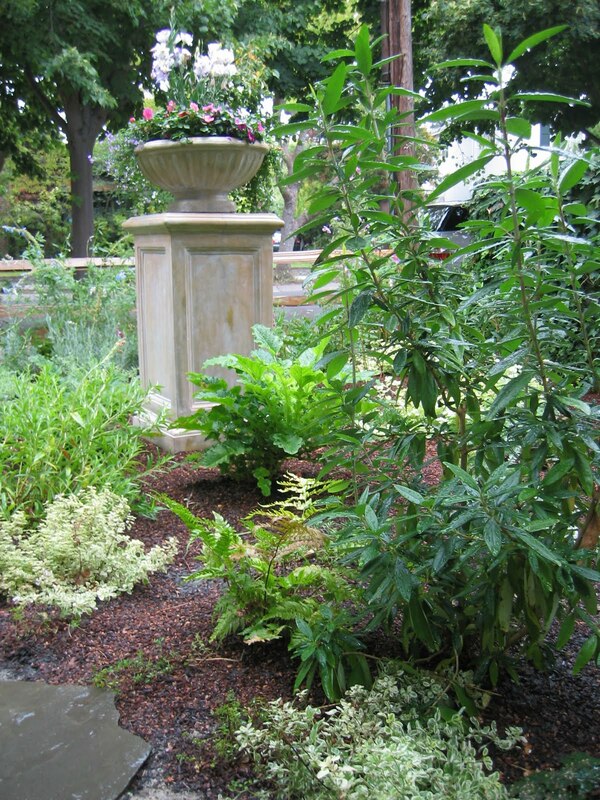 (In fact, here in California, it's illegal for unlicensed professionals to use the title "landscape architect.") So you, by virtue of not (yet) being licensed, are in fact a landscape designer just as I am. It's valuable to question what makes a landscape, or a landscape designer, "good." Responsiveness to the user's needs, certainly. But who is the user? I may be commissioned by a homeowner, but the garden I design for her will also be enjoyed by her guests, family, pets, passers-by, the local fauna, etc. If I design a high-water landscape in a xeric environment, my design also has much farther-reaching effects: the water my garden uses is now unavailable to anyone (or anyplace) else. I don't profess to have the answers. But I believe that as long as we are all asking these questions of quality and appropriateness, the world will be a better place — no matter what we call ourselves.